Jesus tells us that a neighbor is anyone is need. He calls us to know that deep down so we can respond as a neighbor. 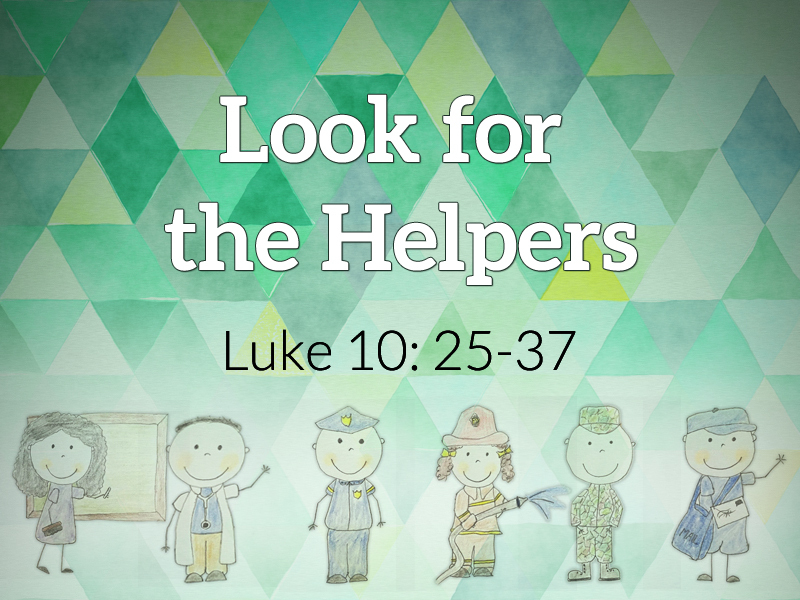 How are we living out the call to be a helper where we are? This is Pastor Mary’s fourth message in the series, “Won’t You Be My Neighbor? 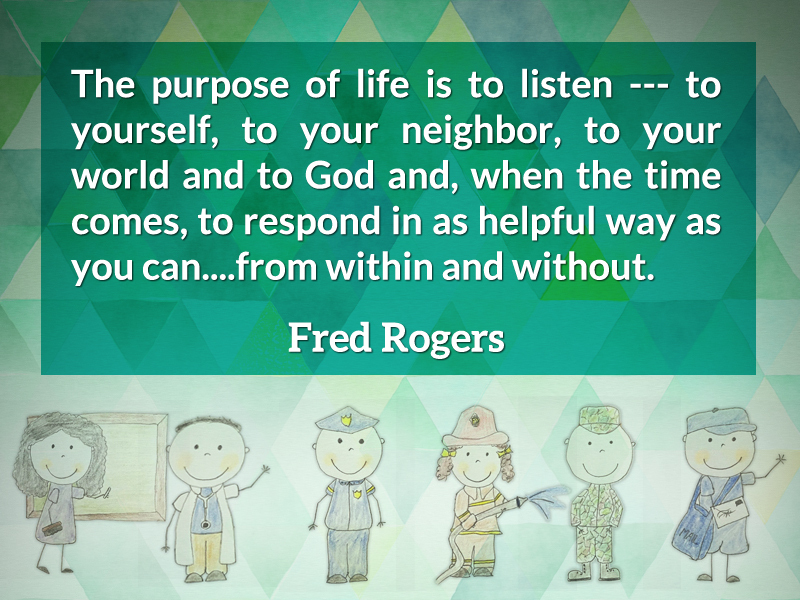 Learning from Mister Rogers.” It is based on Luke 10: 25-37. To read it, click here. 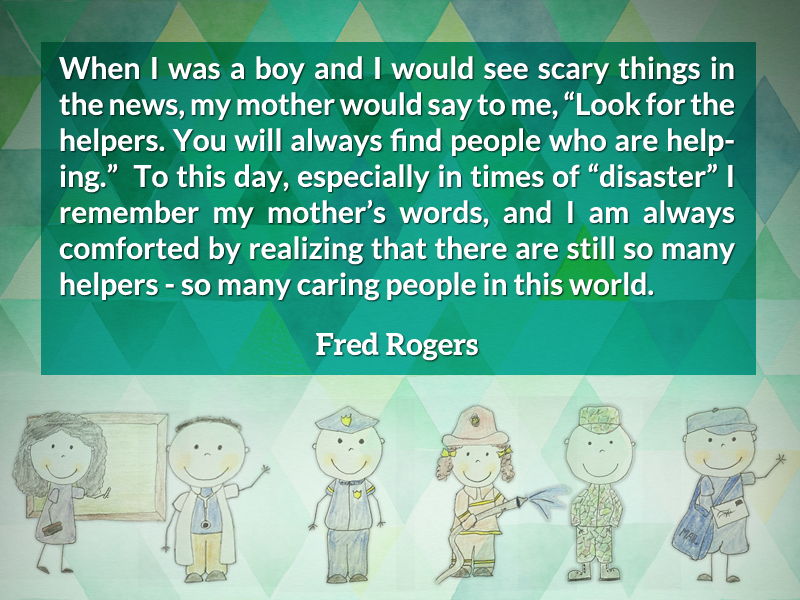 Watch Mister Rogers in “Look for the Helpers.” There are parent resources for times of tragedy on Fred Rogers’ website.